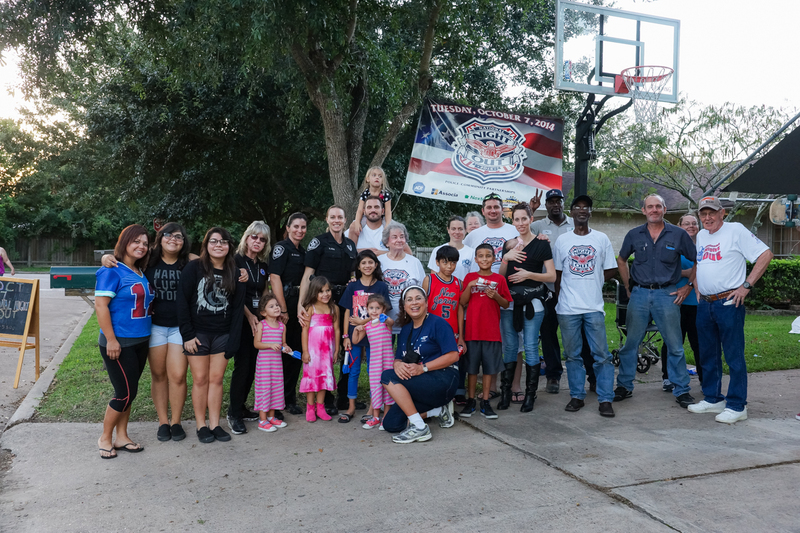 Join the League City Police Department on October 2, 2018 for National Night Out, a yearly nationwide initiative that promotes police-community partnerships and neighborhood camaraderie to make neighborhoods safer. League City residents are encouraged to meet their neighbors and help law enforcement reduce crime in the community. Online registration is now open and will close on Friday, September 21, 2018, via www.lcpd.com. Late registrations will not be accepted. The League City Police Department will not be providing neighborhood goody bags to every event this year, however, National Night Out merchandise can be ordered at www.natw.org from the National Association of Town Watch, the official licensed provider of merchandise. Neighborhoods can enter a contest to win a basket full of goodies to use and share at their event. The first 20 neighborhoods that register their neighborhood for the event on Tuesday, August 2018, will be entered into a drawing for NNO swag and special visitors at their event. 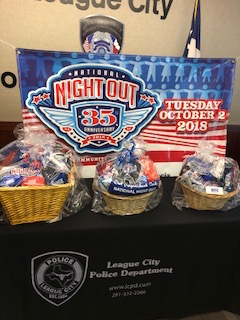 Winners will be announced on the League City Police Department Facebook page and will be contacted by the police department by phone/email to pick up their prize basket prior to NNO. For questions or more information, please contact Officer Christy Galyean at 281-338-8201 or christy.galyean@leaguecitytx.gov or Officer Todd Young at 281-554-1848 or todd.young@leaguecitytx.gov.